We are thrilled to hear that you all love Walden! To celebrate the launch, we are hosting sew alongs for the new patterns. Up first: Cooper! This bag is really quick to sew, and we are eager to see all of your fabric choices. So we decided to make this a fast sew along, with just 4 weeks to make your bag and get it posted to the Colette Patterns Flickr group for entry into the contest. 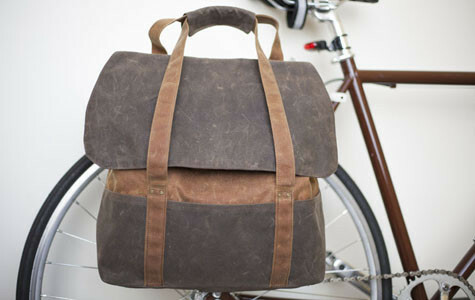 Learn all you need to know to make the Cooper bag in any of three variations: messenger bag, backpack, or satchel. If you’re new to bag making, this is a perfect place to start. Learn all about specialty fabrics, hardware, and the simple techniques you can use to get a professional finish. If you’re making the satchel version of Cooper, here’s where you start. Today, we’re back to working on the satchel (v.3) of the Cooper bag. If you’re working on the messenger or backpack, we’ll return to those versions on Monday, as we put the flap and body together.